WASHINGTON—As the U.S. military awaited a potential response to its recent series of targeted airstrikes, sources reported Monday that the Trump administration would not rule out escalating defense-sector profits from the conflict in Syria. 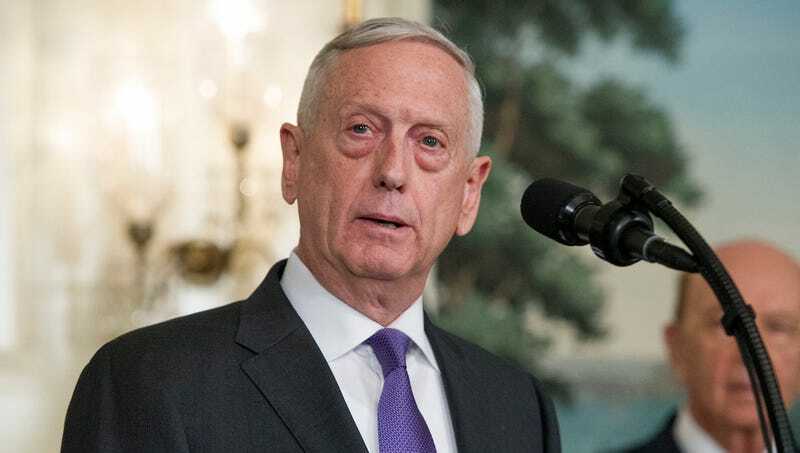 “If [Syrian president] Bashar al-Assad decides to retaliate, we won’t hesitate to rapidly scale up the revenue that weapons manufacturers can expect to earn from military action in Syria,” said Secretary of Defense James Mattis, adding that the use of over $160 million worth of Tomahawk missiles in precision strikes over the weekend should indicate that the American private defense sector was exceptionally prepared to profit from the conflict if necessary. “Our response to the use of chemical weapons in Syria should give corporations in the military-industrial complex and their shareholders the message that we are more than ready to send the value of their stocks soaring. The U.S. armed forces will stop at nothing to ensure that companies like Lockheed Martin, Northrop Grumman, Boeing, and General Dynamics remain in the black.” At press time, U.S. officials noted that if rising payments to defense companies for missiles and drones failed to deter Assad, they were open to significantly expanding the bottom line of private military contractors that supply ground troops.